We’ve all been there: you finish working on a document, save it, close the window, and… which folder did you save it in? Where’d it go? Maybe you downloaded a file and it disappeared, or you might need a file that you worked on months ago but have no idea where you might’ve saved it. Regardless of which file you’ve lost, there are a number of things you can do to find it. If you want to find a file fast, Spotlight is the way to go. Hit cmd + space to bring up the Spotlight search bar, type in what you’re looking for, and you’ll see a list of results from your computer and the web, broken down by type. Use your arrow keys or mouse to select one of the results, and you’ll have your file. You can also scroll all the way down to the bottom of the results list and select Show all in Finder… to see the results in a Finder window, which gives you a bit more room to work with. Spotlight can handle boolean operators and other search attributes, like filetypes and modified or created dates, though you’ll have to know the right syntax. We covered a bunch of useful information in our Top Spotlight Tips Search More Efficiently In Mac OS X With Our Top Spotlight Tips Search More Efficiently In Mac OS X With Our Top Spotlight Tips Spotlight has been a killer Mac feature for years, with Cupertino regularly schooling Redmond in the art of desktop search. Here are a few tips to help you find more on your Mac. Read More article, so check that out if you want to learn how to maximize the utility of one of the most powerful features Add Superpowers To Spotlight With This Unofficial Plugin System Add Superpowers To Spotlight With This Unofficial Plugin System Bring Google, Wolfram Alpha, the weather and just about anything else to Spotlight. Read More of OS X. This works for email as well as anything sent with the Messages app, too, which is great if you’re trying to remember a conversation that you had with someone. 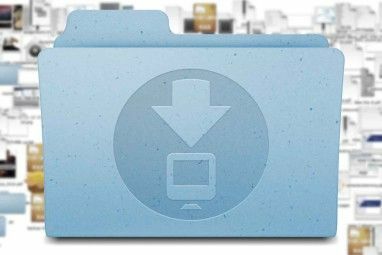 The easiest and for many the most familiar method of searching 8 Finder Tips for Mac Newbies 8 Finder Tips for Mac Newbies Navigating files and folders using the native Mac file browser Finder is easy enough, but there are many more features hidden behind menus and keyboard shortcuts. Read More your Mac is with Finder. Just open it up, type what you’re looking for in the search bar in the upper-right-hand corner, and hit Enter. You’ll see a list of results displayed, and hopefully your file is the first one listed (as we all know, though, it almost certainly won’t be, as that would be too easy). Finder searches the names of files as well as the contents of those files to create the search results. For example, in this search, I’m looking for the word “collection,” but the first 11 results don’t have “collection” in the title — it is, however, in the text. If you want to search specifically for a filename, you’ll need to select Name matches: when it appears under the search bar. If you’ve already run your search, just add a space to the end of the search term, and it’ll show up. To filter by file type, last opened date, last modified date, created date, or a wide range of other things (from the number of audio channels to the state or province according to the provider), hit the + button next to Save and use the dropdowns to narrow your search. And if you want to only search the folder you’re in, just select “[folder name]” where it says Search: (in the images above, it says “Documents”). To get started, go to File > New Smart Folder. You’ll see a Finder window where you can enter your search criteria (be sure to hit the + button when you want to add another criterion). Get all of the criteria set up, and then click Save. You’ll be asked if you want to keep a shortcut to this folder in your sidebar, which is probably a good idea, because if you don’t, you’ll need to go to Library > Saved Searches to find it. You can also save any search that you’ve run in Finder as a smart folder by clicking the Save button once you’ve run the search. And after you have it set up, the contents of the folder will automatically be updated to fit the criteria you set when you created it. The built-in search on OS X is really good, and it’ll help you find what you’re looking for almost every time. But if you need a little more power, you can use a third-party app to look for your files. On my own computer, I use EasyFind, a free app available in the App Store. The biggest benefits to using EasyFind are that it searches hidden files and the contents of packages, which Finder doesn’t do, and that it’s very fast without needing to index the files on my computer. It also supports extended boolean operators, which is nice if you want to look for something really specific. We’ve talked about Alfred a few times before on MakeUseOf, and in addition to all of the other great things it can do 6 Amazing Alfred Workflows to Make You More Productive 6 Amazing Alfred Workflows to Make You More Productive Now that users and developers are able to extend Alfred's capabilities by adding their own workflows, calling it an 'application launcher' seems a bit limiting. Read More , it’s really good at finding things. Found, Find Any File, and Quicksilver, another MakeUseOf favorite Remember Quicksilver, The Free Open Source Mac Launcher? Remember Quicksilver, The Free Open Source Mac Launcher? You've probably forgotten entirely about Quicksilver, and that's too bad. It's awesome. Read More , are other good options. Since Spotlight’s release, Terminal hasn’t been a go-to tool for searching your computer, but if you like to do other things from Terminal 4 Cool Things You Can Do With The Mac Terminal 4 Cool Things You Can Do With The Mac Terminal The Terminal is the Mac OS X analogue of the Windows command prompt, or CMD. 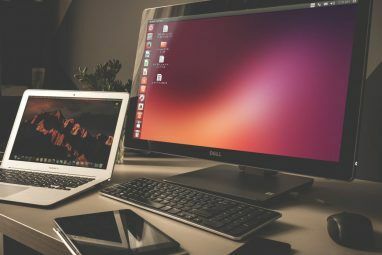 It's a tool, as you probably already know, that allows you to control your computer using text commands, as opposed... Read More , you may want to know the commands for searching from it, as well. Probably the best command to use is mdfind, which searches the metadata and contents for your search term (it’s basically the terminal command for a Spotlight search). You can also use useful tags like -live, which will give you live updates on the number of matches to your search, and -onlyin, which lets you specify a directory. If you want to see all of the other commands you can use to power up mdfind, check out the manual page. Most people probably won’t ever need to use Terminal, but if you’re already using it for something, this can be a good way to make it even more powerful. It’s easy to lose files on your Mac, but when you have these strategies at your disposal, it should be easy to find them, too. Whether you use built-in, quick tools like Spotlight, third-party apps like EasyFind, or automated solutions like smart folders, you’ll spend less time searching and more time doing. How do you find lost files on your Mac? Share your best tips in the comments below! Explore more about: OS X El Capitan, OS X Finder, Spotlight. Check out HoudahSpot. 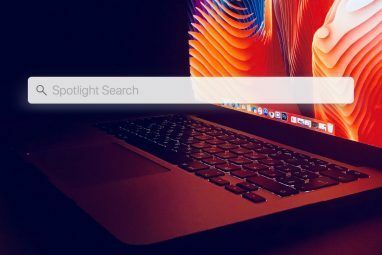 HoudahSpot searches the same Spotlight index as Finder, but gives you a lot of tools to streamline file searching. Using search templates you can run detailed searches without having to set these up over and again. The “Apple Mail Messages” template, for example, is already set up to search for mail by author, recipients, subject, etc. You just need to fill in the blanks. Text preview shows text matches without having to open each and every file to find the one you are really looking for. That sounds like a really useful way to search; I think I'll have to give it a shot! The text preview sounds especially nice. My favorite way to find files on my iMac is to use the application Find Any File. The app gives you multiple choices for where you can search for the file. It also gives you a variety of choices to choose from what you are trying to match like name or modification date. I've heard good things about Find Any File, though I haven't used it myself. Have you tried EasyFind or any of the other search apps? I'd be curious to hear why you prefer FAF over other options. My favorite technique for the situation described (close a file and don't know where it went), is to use the Open Recent feature under File. Call the file back up, then start a Save As operation (if you don't see a "Save As" selection, hold down the Option key). Once the Save As dialog opens with the file list, just look at the drop down for the location. Yeah, that works too, and I use that method pretty often; it's great for finding things you just saved recently! Doesn't work for things that you saved a long time ago or downloaded, but it's a good thing to have in your repertoire. Don’t forget about the proxy icon in the title bar of most Mac applications. Control-Click or Command-Click the icon or file name at the top of the window to get a menu with the path of the file. Select a folder in that menu to open it in Finder. Drag the icon from the title bar to Finder to copy or move the file. Drag it to mail to send the file as attachment. Another great tip! Thanks for sharing that one; it's highly underutilized.